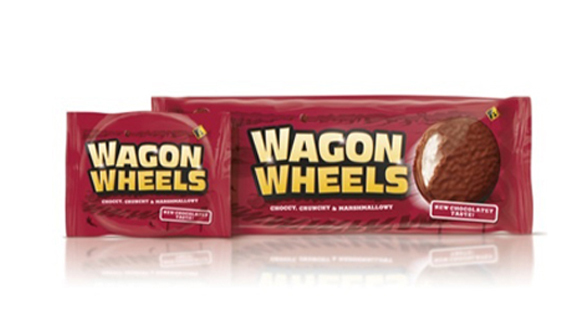 Wagon Wheels are an old time favourite yet the new packaging seems a little bit safe. Along with the statement “nowadays kids donâ€™t get as excited about cowboys and Indians” have the creators lost their target audience. Some say not, some say that mums and dads are the target audience, and that they don’t care for cowboys and indians. Others say that the kids are still the ones to think about and that exciting images are just what is needed on confectionery packaging.